It's finally here! 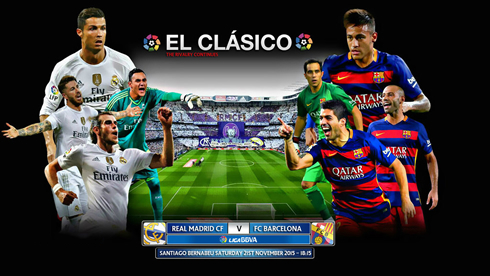 The game that every football fan out there wouldn't dare to miss is taking place this Saturday evening, as Spanish giants Real Madrid and Barcelona prepare to battle in yet another El Clasico. It's only the first Clasico of the season, but whoever leaves the Bernabéu victorious this Saturday will certainly take with them a very important boost of motivation for the upcoming months. 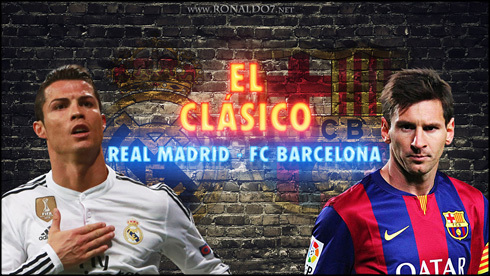 A Real Madrid vs Barcelona clash should never be taken lightly from any perspective and this weekend's fixture is no exception. The two teams are separated by 3 points in La Liga, with Barcelona currently holding the pole position and hoping to come out of the Bernabéu still leading the league. 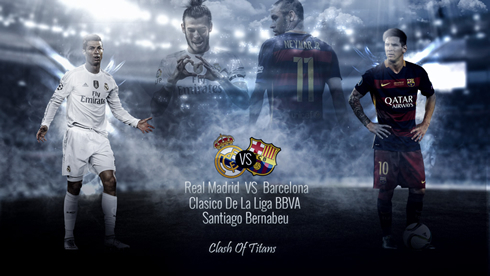 So what should be Real Madrid and Benítez's approach going into this Clasico? How important can Cristiano Ronaldo's form turn out to be in the outcome of this high intensity game? When it comes to injuries, it surely hasn't been the easiest of seasons for Real Madrid. The Merengues have had quite a tough ride thus far, but the good news is that Rafa Benítez will have pretty much every key player at his disposal for this weekend's El Clasico. That being said, what should be the Spaniard's choices ahead of such a demanding challenge like the one he has ahead? There aren't many doubts for who should be in Madrid's goal. Keylor Navas has struggled with a muscle strain for a few weeks now, but appears to be fit by now and ready to debut in his first Clasico. In front of "El Tico", Benítez should go for the old-school partnership formed by Sergio Ramos and Pepe, even though the Spanish centre back hasn't fully recovered yet from his shoulder injury and is reportedly willing to take several pain-killing injections in order to play this big game against Barça. On the left, Marcelo is also expected to make his comeback after having missed the last fixture against Sevilla due to an injury picked in a Champions League 1-0 win, against PSG. On the right, the choice should fall either on Danilo or Carvajal, with the first one being the strongest candidate at this stage, at least based on what we've seen Benítez doing and deciding in the beginning of the season when the two were available. Nevertheless, Carvajal would probably offer more guarantees and if it wasn't for Danilo's 30-million price tag, the Spaniard would most likely be locked to be in the starting eleven on Saturday. Benítez will also go through a couple dilemmas when picking his midfield players. After seeing James Rodríguez already coming back from injury in Madrid's last fixture in La Liga, the Merengues are finally able to lineup their preferred trio formed by Kroos, Modric and James. However, that may very well turn out to be a particurlarly dangerous move by Benítez, specially if we have in mind that it's Barcelona who they'll be facing at the Bernabéu and not just a random side from La Liga. The alternative could come in the form of a simple replacement, by strengthening that key area of the pitch with Casemiro and eventually start with James on the bench. Either that, or simply let both James and Casemiro play in their usual roles, but take off one of his 3 forwards in order to approach this Clasico with a more packed midfield. In attack and believing Benítez will go for the typical 3-men midfield, we can certainly expect the return of the BBC. Benzema has gone through his own private hell over the last few weeks, but he has already trained with the rest of his teammates for a few days now and may very well make his return in the Clasico, next to his partners in crime, Gareth Bale and Cristiano Ronaldo. 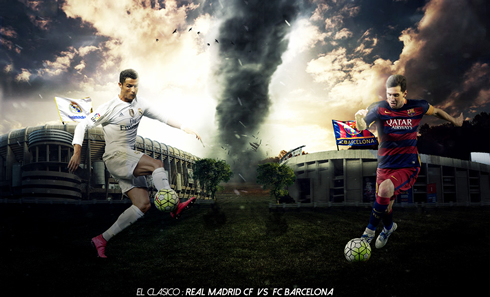 # Can Ronaldo be the decisive element in this Clasico? 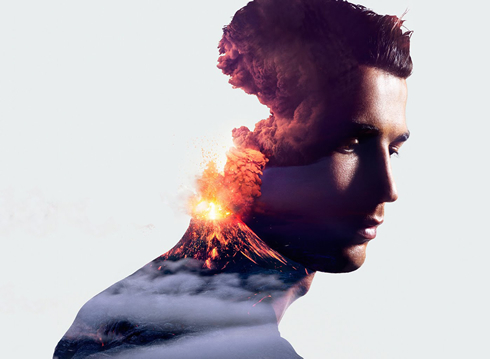 The 30-year old has been spared from Portugal's two friendlies during this international break, which has allowed him to fully focus in his preparation for the Clasico in the last couple of weeks and by doing so, we're sure he'll be at his best when the two Spanish giants step onto the Bernabéu this Saturday evening. Knowing Ronaldo's character and determination, he'll certainly be doing everything in his reach to make an impact in this game and perform at the level we're used to see from him. 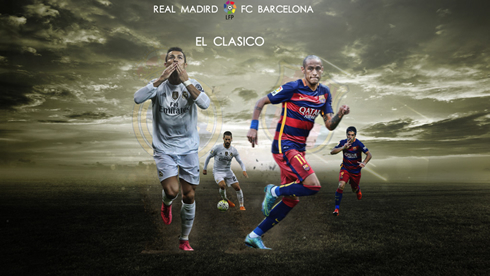 Cristiano Ronaldo next game will be for Real Madrid on the 21st of November of 2015, against Barça. You can watch Juventus live stream, Real Madrid vs Barcelona, Chelsea vs Norwich, Watford vs Manchester United, WBA vs Arsenal, and Hamburg vs Borussia Dortmund, all matches delivered in our live soccer game pages.